The new 2019 Triumph Bonneville Bobber Black is here and it’s as thrilling to look at as it is to drive around the streets of Portland, Oregon. Drivers and riders of the new 2019 Bonneville Bobber Black will enjoy the entirely blacked-out detailing, rich unique finishes, and high-value badging that are offered by the new Bobber Black. Visit us at Latus Motors Triumph to experience this meaner and stronger motorbike today. When you visit with us at our local new and used Triumph dealership, schedule a test drive of the new 2019 Bonneville Bobber Black. During your test drive, speak with our sales team about the incorporated ABS and Switchable Traction Control system in the new Bobber Black. It’s features like this that take the Bobber to new heights. Buying a new motorcycle can be a time-consuming process, but with our team at Latus Motors Triumph, it doesn’t have to be. Our highly trained team can help filter through our massive inventory of new and used vehicles to help you find the perfect one. Our finance team is also available to help you find an auto loan that fits your needs. 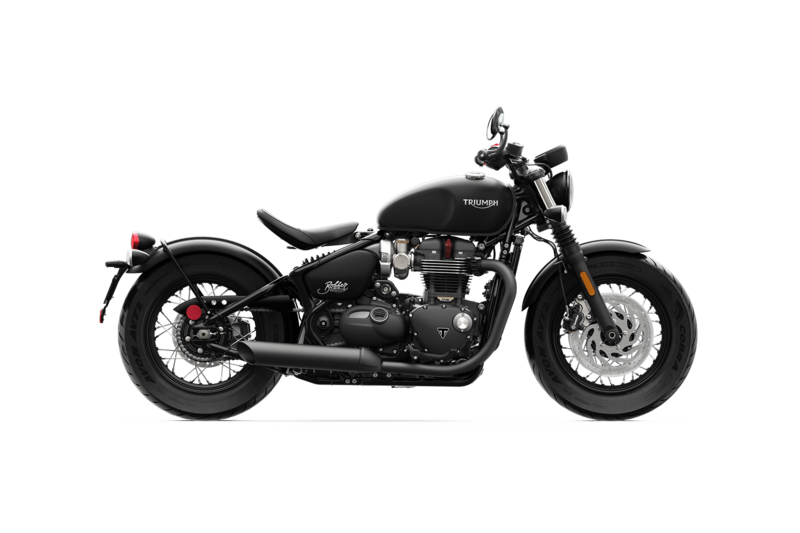 Plus, you can also join our Triumph Loyalty Program and receive perks for owning the Bonneville Bobber Black. Visit with our team today to learn more! Instrument Display and Functions: LCD multi-functional instrument pack with analog gauges.